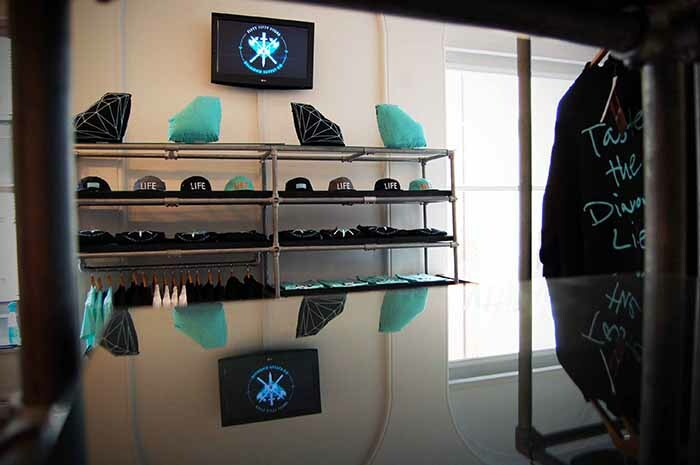 This past Saturday the people of Bristol took to Fifty Fifty to celebrate the release of the store’s collaborative capsule collection with Diamond Supply Co.
A packed out store was filled with the collaborative tees and sweats as well as other hats and accessories from the Diamond Supply Co. collection that complimented the collaboration’s black/diamond blue colour scheme. 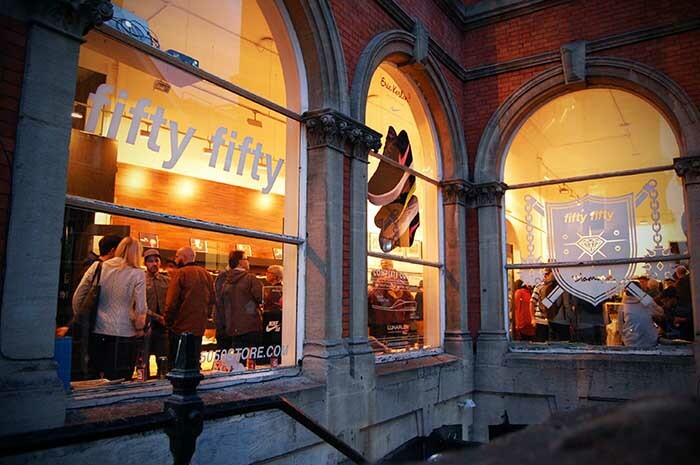 The graphics from the collection were printed and stuck to the store’s huge windows, and an additional three-dimensional motion graphic of the artwork projected onto the building opposite so that everybody knew what time it was. 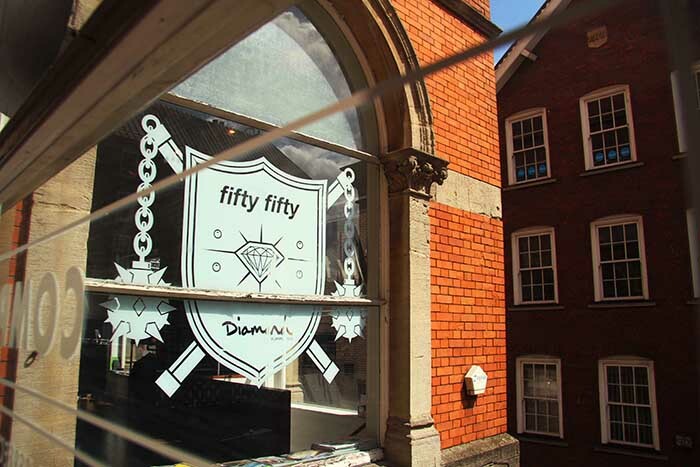 Fifty Fifty have produced something to be proud of here, collaborating with a high profile brand which has been a staple of their brand roster for a long time – a model I hope to see a lot more of. Get a closer look at the collection in the lookbook here. As expected the store’s loyal following, family and friends turned out in serious numbers to support and sizes are already close to depleting. You can grab what’s left at Fifty Fifty now. Love it… Dope music on the video too. clean collection. Would try to pass tru when i go for Upfest..